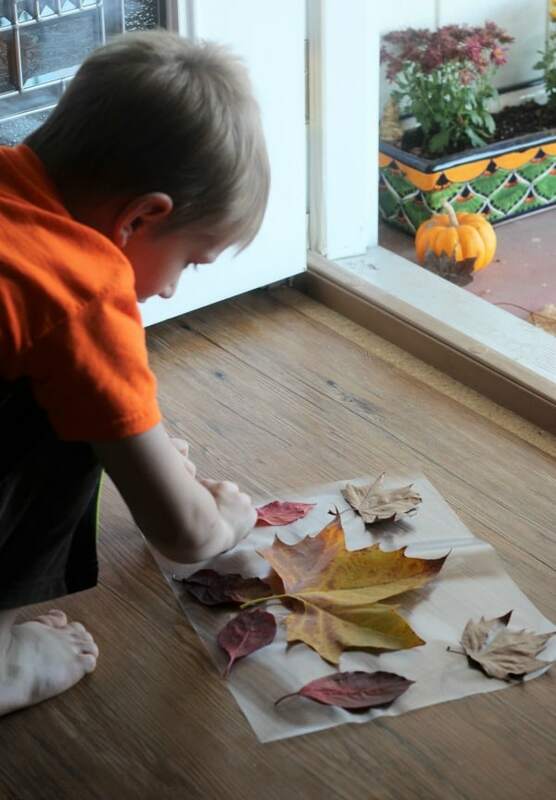 Making fall leaf placemats is a fun activity for preschool and kids of all ages. Even toddlers will have fun collecting leaves and creating their own placemat. Before you sit the kids down cut some pieces of contact paper into the shape of placemats. I used the width of the contact paper for the width of the placemat so I would only have to make one cut for each placemat. You will need two pieces of contact paper for each placemat. You can make the placemats any size you choose. After the contact paper is ready, sit your kids down at a table and have them spread out the leaves in the center of the table. Give them a piece of contact paper with the backing paper removed. Let them arrange their leaves on the sticky side of the paper. 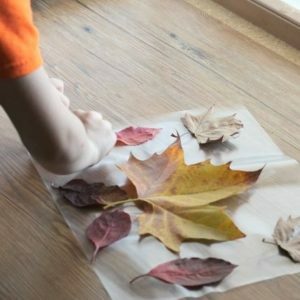 After they are happy with the arrangement of their leaves, take another piece of contact paper and carefully lay it on top of the leaves so that the sticky sides of both pieces of contact paper are together. Carefully use your hands to smooth out any bubbles or wrinkles. You won’t be able to get them all out, but don’t worry, a few wrinkles will not be noticeable when you are done. When you are finished you can use the scissors to trim around the edges to make sure they are all even and straight. 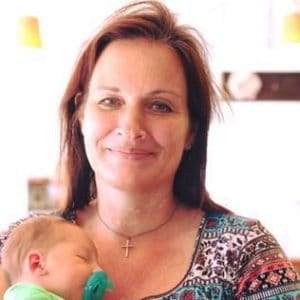 This is an easy project that can be completed in about an hour. Remember the younger the child, the shorter their attention span, so if you are making very many you may end up finishing them yourself! My toddler boys spent about 15 minutes on theirs and they had a great time. Don’t forget to proudly display your fall leaf placemats on your Thanksgiving table! 2 Comments on "Fall Leaf Placemats"